Katie is currently booked through 2020. Please check back at a later date for future availability in 2021 and beyond. Pew Sisters – We’re family, you and me. We’ve been baptized into the same Christ, and now we share the same Heavenly Father, we eat at the same table, and we inherit the same paradise. Your joys are my joys, and your sorrows are my sorrows from here unto eternity. Let’s gather and celebrate our true sisterhood—our pew sisterhood. Woman: Servant of Mercy – What does it mean to be a woman in the church? What does she look like? What does she do? 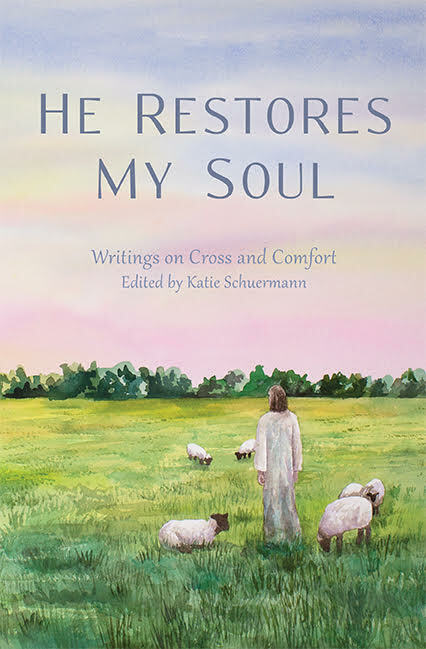 Join author Katie Schuermann as she discusses what it means to be Christian and feminine. When God’s People Suffer – Why do bad things happen to Christians? Does God really bring suffering upon His own, dear children? What does life look like when lived under the cross of Christ? Caring for the Barren – We do not have to look very far to find them: friends, sisters, aunts, cousins, daughters, and all those women we love so dearly who have never been able to give birth to a child. What do we say to them? How do we comfort them? What hope can we give them? Join Katie Schuermann, author of He Remembers the Barren, for an intimate discussion about the heartache of infertility and its effect on all of us. The Gift of Story – From fables to fairytales, stories throughout history have taught and inspired readers to better honor, love, and serve one another. Join author Katie Schuermann as she discusses the importance of storytelling in the life of the Christian and how every good story is a mere reflection of the greatest, truest story ever told: the fall of man into sin and God’s work of salvation for him in Jesus Christ. So You Want to Be a Writer? – Are you interested in writing? Have you always wanted to be published? 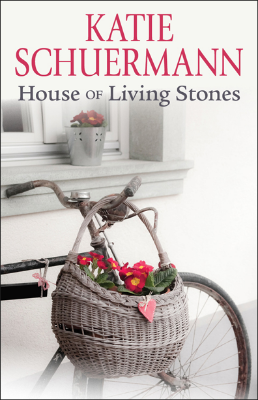 Author Katie Schuermann will walk you through the ins and outs of writing and publishing both nonfiction and fiction works while sharing anecdotes from her own career. 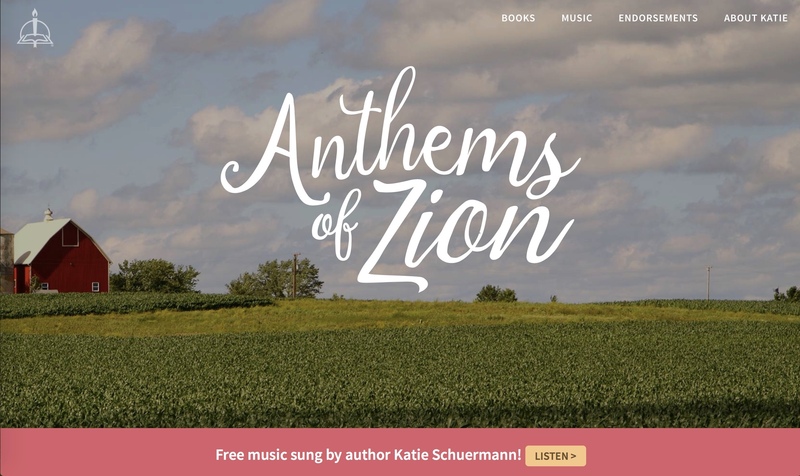 Anthems of Zion – Church life is anything but boring. Join author Katie Schuermann and her beloved fictional characters of Zion Lutheran Church in the imaginary town of Bradbury, Illinois, for an honest (and humorous) discussion of forgiveness, suffering, and mission work in the church. Caring for the Barren – Join Katie Schuermann, author of He Remembers the Barren, as she addresses questions frequently asked in the church regarding the topic of barrenness. Issues such as control of our bodies, family planning, and the source of conception will be examined through a theological lens.